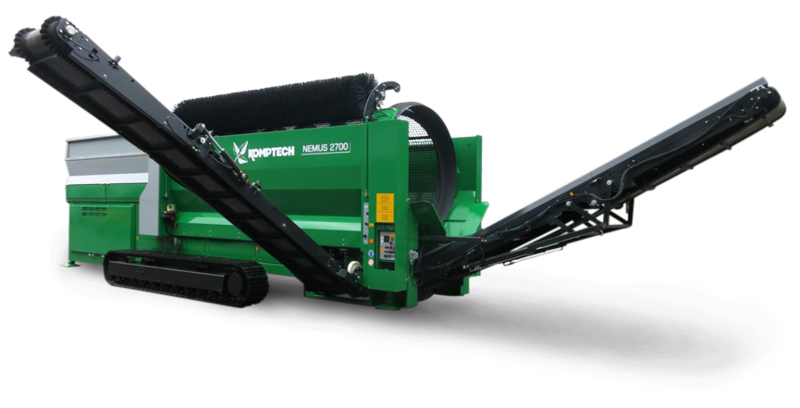 The Nemus 2700 is a heavy-duty, diesel hydraulic, mobile drum screen, available in your choice of track or wheeled chassis, that efficiently screens most any material from heavy dirt to compost. 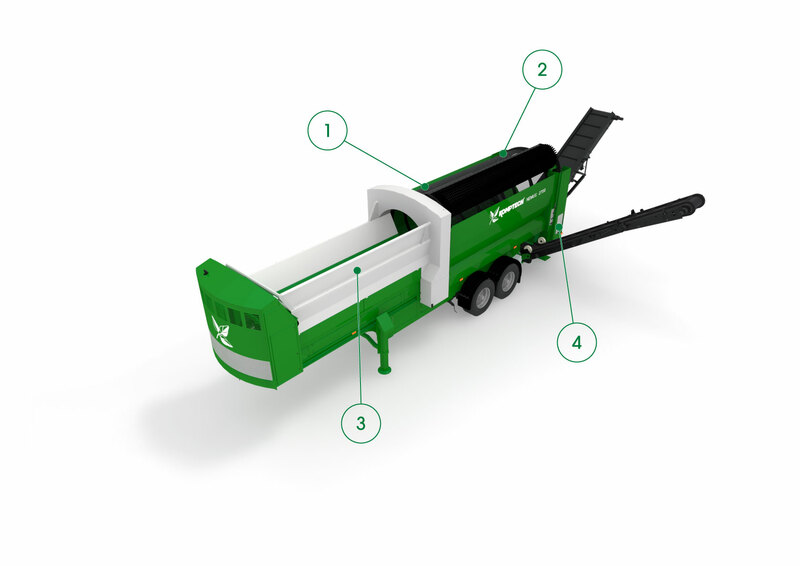 The Nemus features a large, 6.5 yd3 steep walled hopper and throughput capacity of up to 220 yd3/hr. The swappable screen drum features 323 ft2 of screening area and the improved material feed and high-performance discharge system harmonize perfectly with the proven, robust diesel-hydraulic drive. Operation is easy and safe, with electronic controls and graphical display screen ideally positioned for visible control. Komptech's punch plate + spiral drum design delivers increased screening area with a smaller footprint, lasting longer and delivering better throughput than incline wire mesh drums. The horizontal drum prevents spearing and receives less abuse because materials ride in the drum smoother. It's also easier to switch between drums than change screen segments. Steep hopper walls with extensions that can be fitted on the right or left, plus a low-wear DRUMGRIP drive with the toughness of a chain and the smoothness of a friction drive. Intuitive and self-explanatory electronic control panel with a visual display enables easy user operation and quick maintenance access. HAVE A QUESTION ABOUT THE NEMUS 2700? When it comes to drum screening soil, mulch and compost material, our team is ready to help you accomplish more by delivering industry and product expertise combined with world-class parts and service support. How can we help you?